Clefts of the palate and lip are one of the most commonly seen conditions affecting the face in newborn babies. Clefts occur somewhere between 1 in 500 to 1 in 2000 births, depending on the race of the parents. Children can be born with just a cleft lip, a cleft lip and palate, or just a cleft palate. Most commonly, 50% of the time, the cleft patient has components of both cleft lip and palate. The cleft lip can be incomplete, complete or bilateral. A cleft palate may be divided into the back of the palate (soft palate) or front of the palate (hard palate) or both. This is based on when the developmental event occurs in-utero as the different portions of the palate develop at different stages, which occur between the fourth and ninth week of gestation. The soft palate is soft because it consists of muscles, which are primarily used for speech. The hard palate has bone and its function is a barrier between the nasal cavity and the oral cavity. 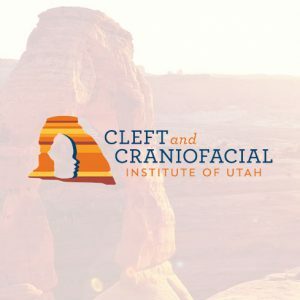 Therefore, with a cleft of the hard palate there is often food regurgitation into the nasal cavity as well as difficulty acquiring suction for bottle feeding. Schedule a time to come visit with Dr. Griner and get your questions answered. Children with a cleft of the soft palate undergo a definitive closure between 9-15 months of age. At this time, we often perform a Z-plasty of the soft palate, which is a lengthening procedure. This type of closure takes a little longer (about 2 hours) but is both more anatomic and provides additional length, allowing for fewer post-operative speech problems than traditional straight-line soft palate repair. If a hard palate cleft is present, then a static palatal prosthesis is placed in the first 3 months of life. The goal is to make feeds easier, preventing reflux into the nose, as well as allowing the hard palate to migrate to the midline over time. This is a slow process, but by preventing the tongue from interfering during feeds and other activities the prosthesis allows the hard palate to grow towards the midline. When the prosthesis is removed we wait about 30 days before operating on the palate to allow the surrounding tissues to strengthen enough to hold suture. Patients undergo hard palate repairs between 1-3 years of age, depending on the width and severity of the cleft deformity. After palate surgery, your child will be watched closely for any problems with breathing, and a nursing specialist will work with you to start feedings as soon as possible. Feeding is liquid or puree only for 2-3 weeks via a sippy cup or a syringe allowing time for the stitches to dissolve. Your child may also wear elbow immobilizers during this time to prevent the placement of any unwanted objects inside the mouth. The immobilizers can be taken off when your child is being held. After about 4 weeks, the palate should be healed, and we will advance the diet to regular foods.